Everything is easier when you wake up well rested. Pillows are personal and it is important to identify your own personal preferences when choosing the right pillow. If you feel most comfortable on a traditional, fiber pillow, the Tr-Core Pillow may be your best options. 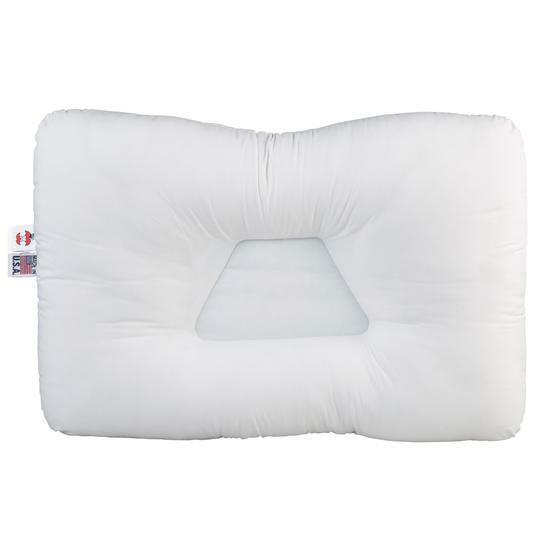 If you are accustomed to sleeping on a more supportive foam pillow, the Therapeutica Pillow could be your new favorite! If you’ve never used a cervical support pillow it is important to that most people experience an increase in sleeping comfort within a couple of days. Others, however, may require up to two weeks before the neck and back muscles adjust to their proper positions. The Tri-Core Fiber Support Pillow features a trapezoid-shaped center and raised side sections to provide proper support while sleeping on your back or side. The trapezoid-shaped center of the Tri-Core Pillow provides maximum comfort and flexibility. when sleeping on your back, the center cradles your head to support your neck in its most natural position. As you roll from your back to one side, the pillow again properly supports your neck. The sides of the pillow are recommended for side sleeping. The neck is gently supported in a comfortable position on the raised section of the pillow. As you roll to your back, the center lets your head nestle for the greatest comfort and appropriate support. This pillow doesn’t look like what you would expect – that’s because it was designed by an Ergonomic Designer in consultation with a Doctor of Chiropractic. The key to a sound night’s sleep is being comfortable! 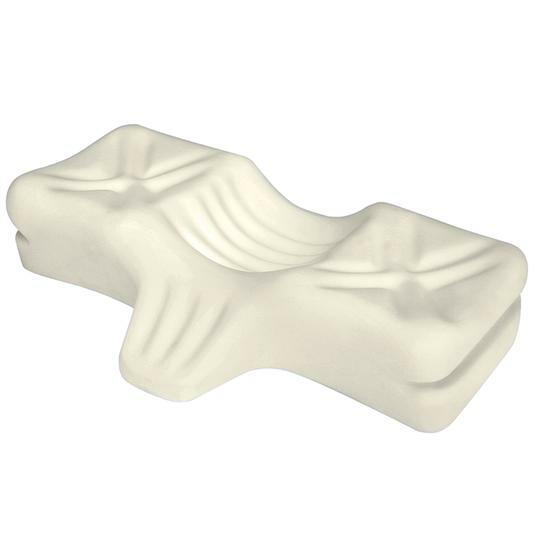 The unique shape of the Tri-Core and Therapeutica Pillows provides maximum comfort and flexibility. They are designed to cradle your head to support your neck when sleeping on your back. As you roll from your back to one side, the pillow again properly supports your neck with the raised side panels. Cervical pillows, like the Tri-Core and Therapeutica, are a natural, drug-free way to help correct and maintain the posture of your cervical spine, giving you the proper sleeping posture needed to help alleviate headaches, neck strains, arthritis and other ailments. They accomplish this by providing comfort and helping support your head and neck in their most natural, neutral position. A proper sleeping posture can provide relief from, and help prevent, nerve pressure and airway blockage (a major cause of snoring), and assist in the recovery from whiplash and other neck injuries. Use the Tri-Core and Therapeutica pillows to complement your professional care and wellness plan. 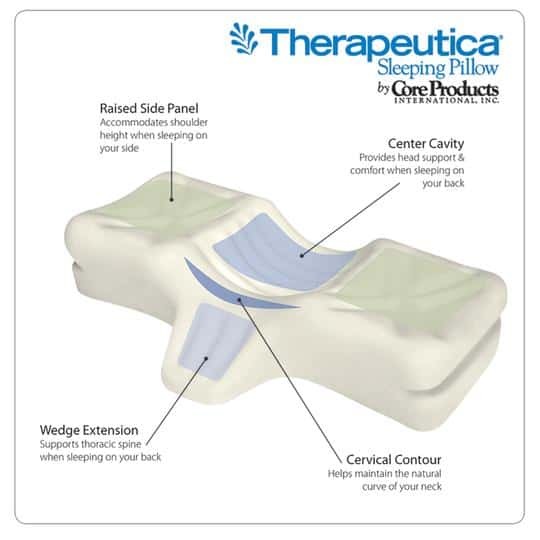 Ask Dr. Coulas about how Tri-Core and Therapeutica Pillow therapy can help you!